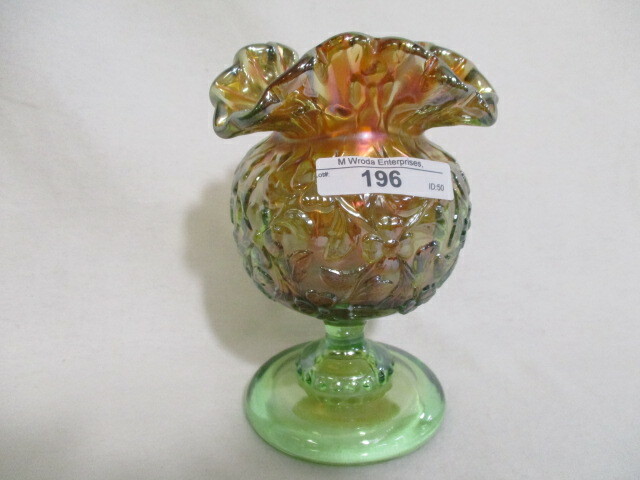 Named for the daisies that appear evenly distributed in a diamond arrangement on the bowl. 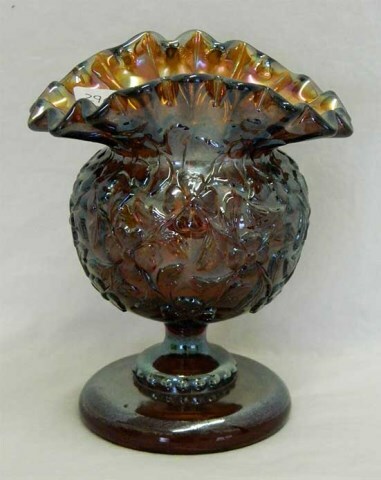 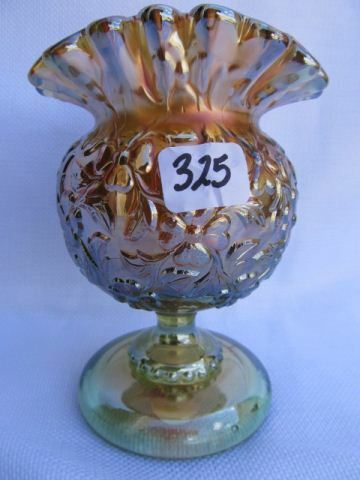 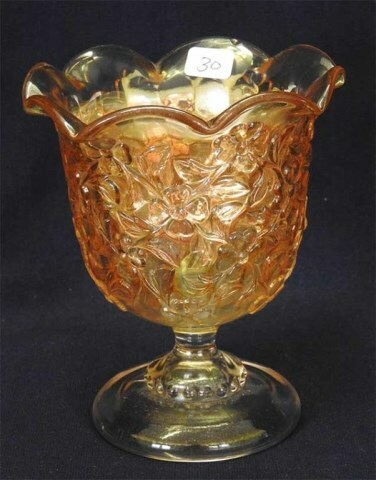 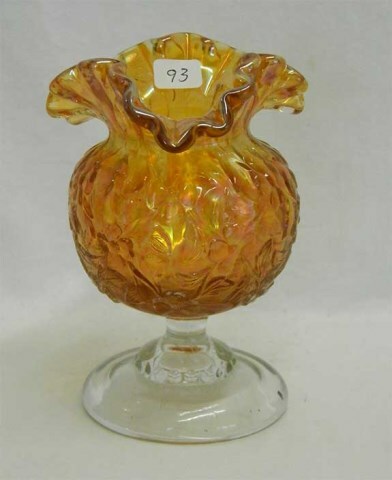 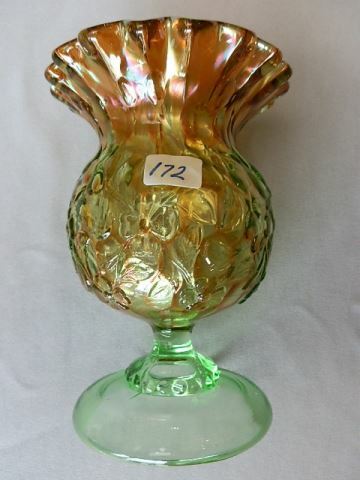 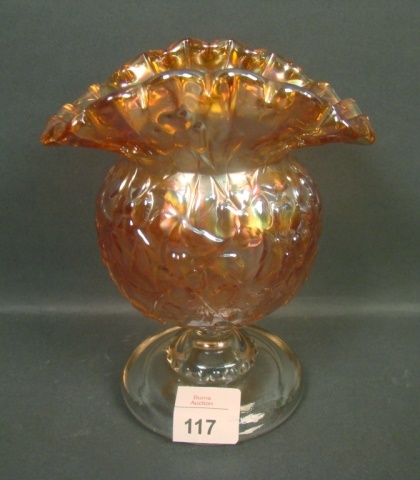 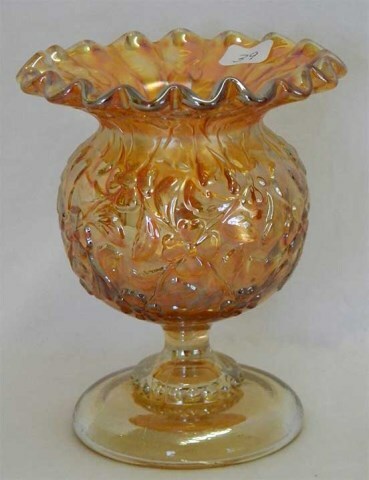 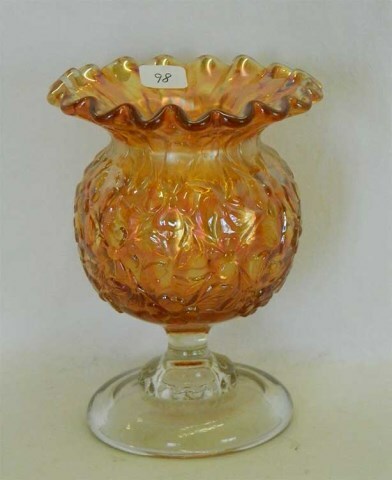 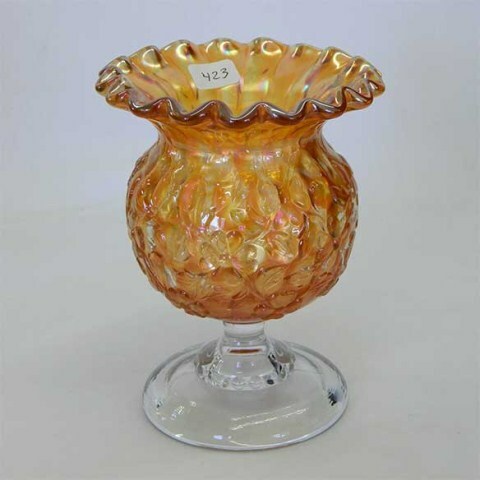 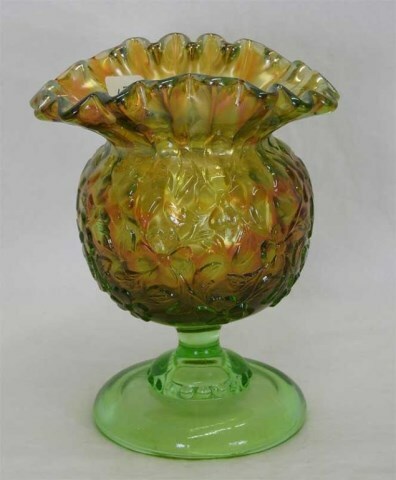 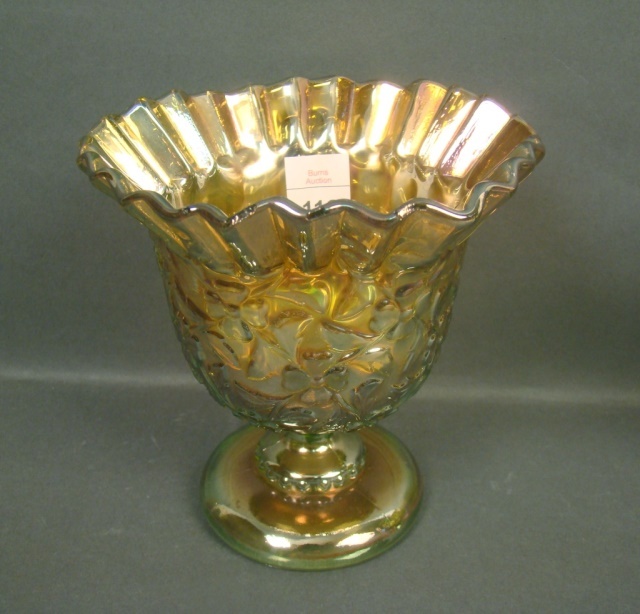 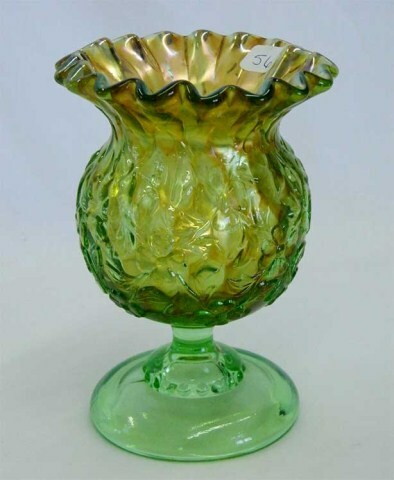 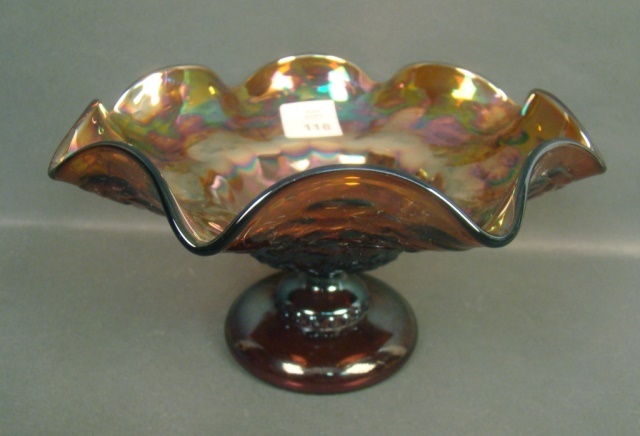 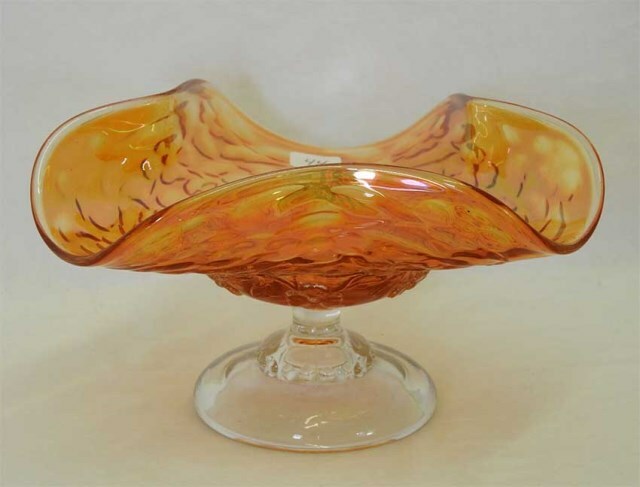 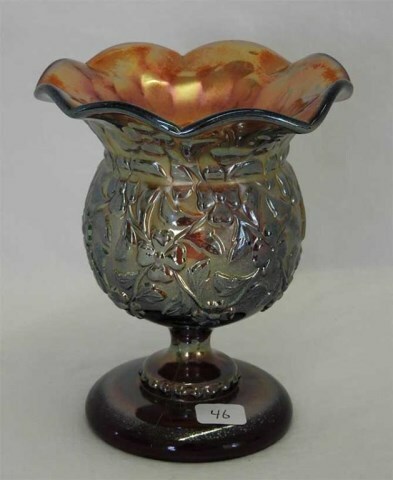 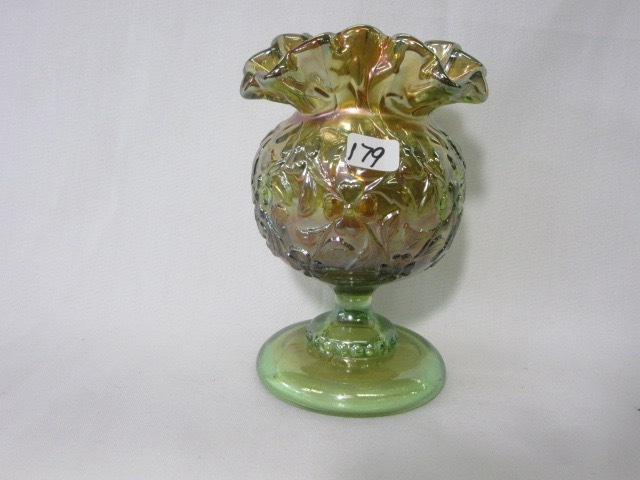 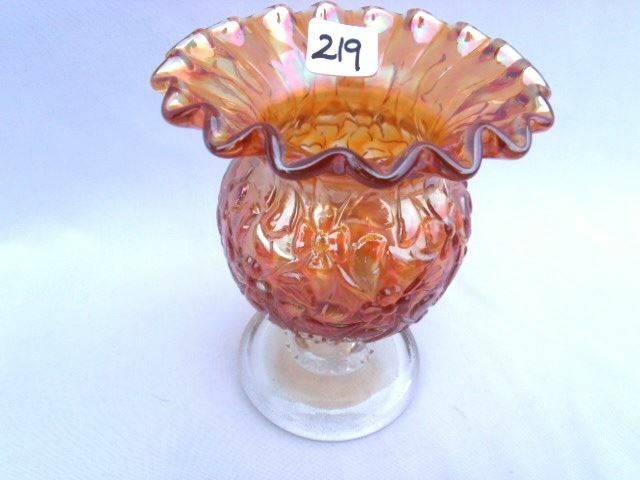 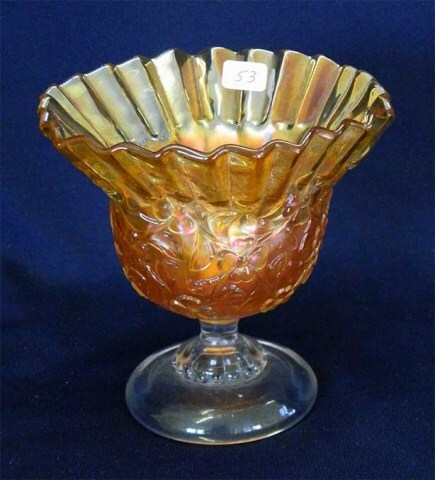 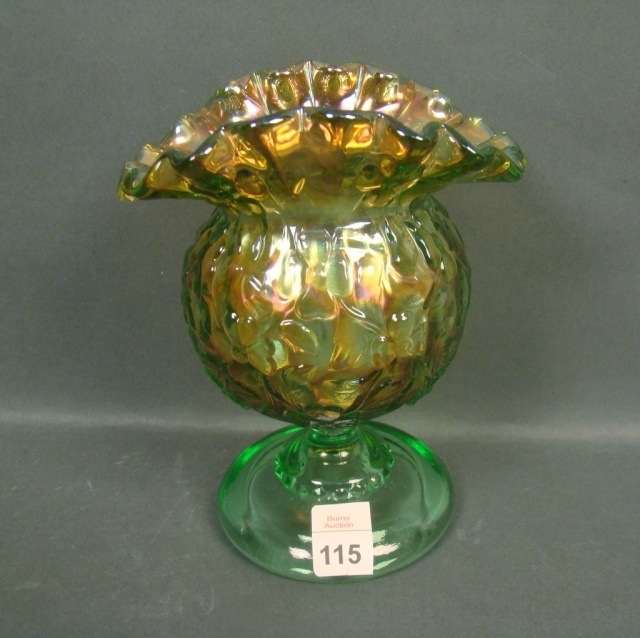 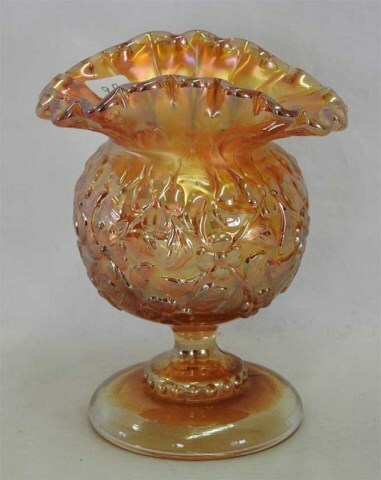 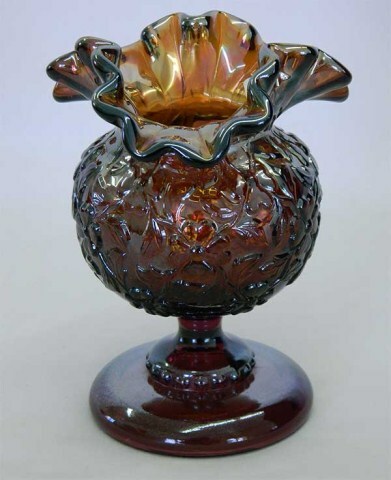 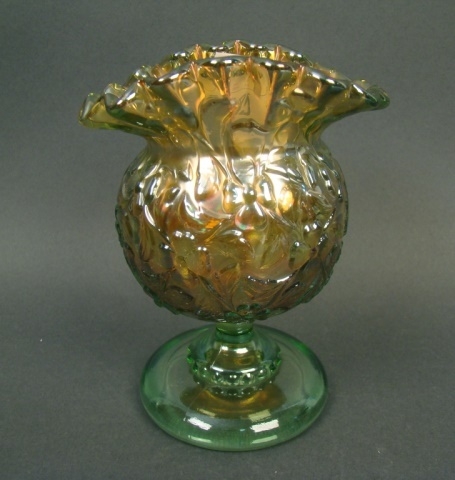 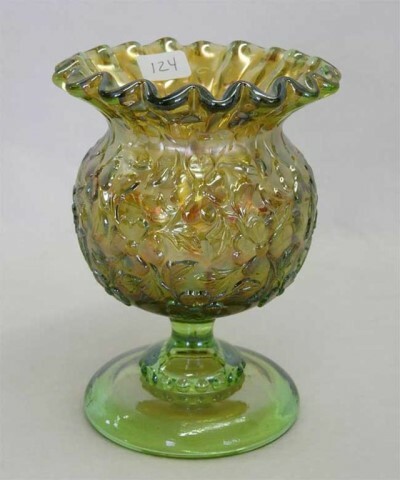 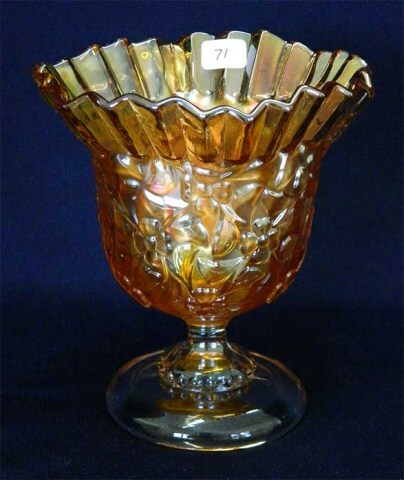 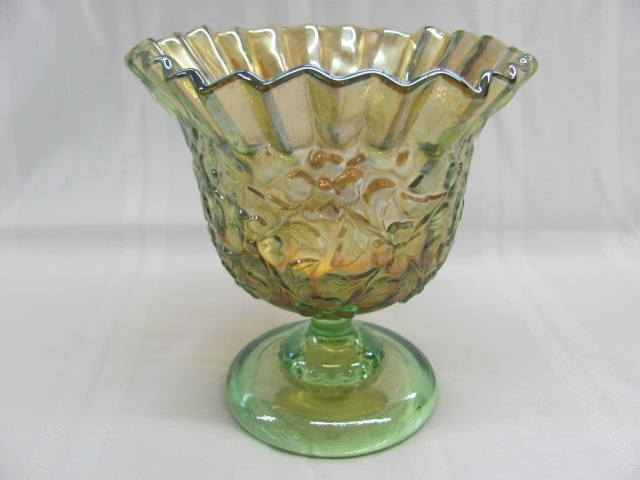 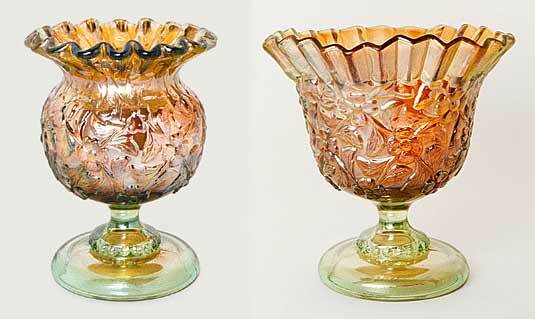 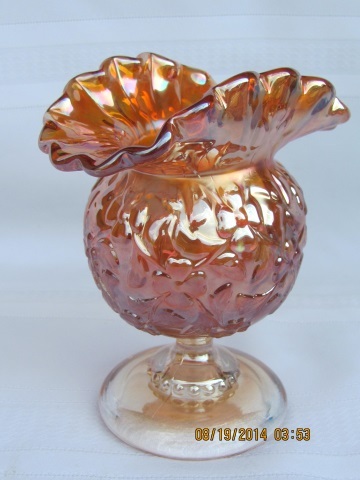 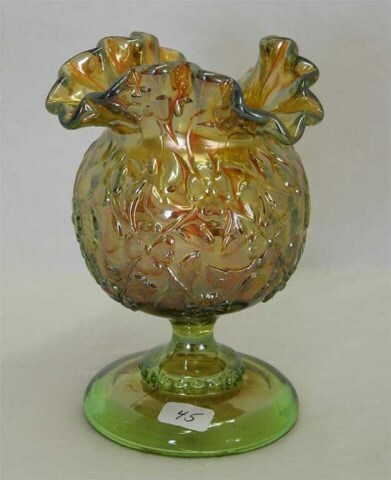 Most often seen in the rosebowl/spittoon style shown left above, the pattern is occasionally flared and ruffled into a compote. 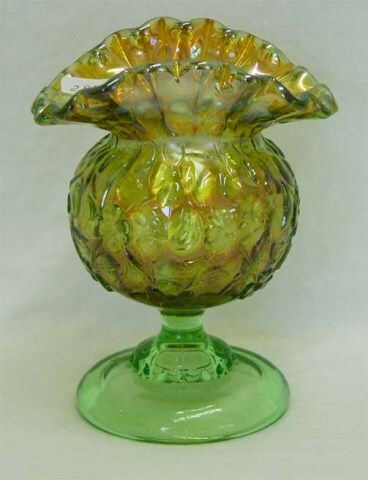 Generally attributed to Westmoreland. 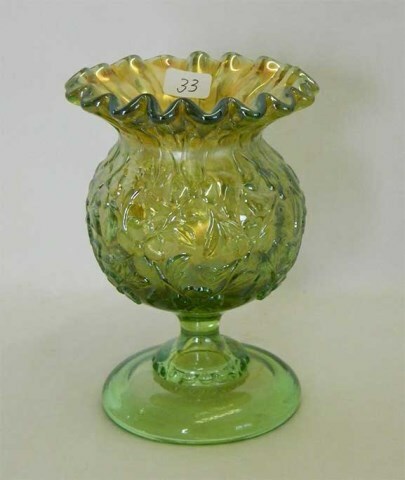 Known in a rare amethyst, marigold and a light green usually identified as lime or vaseline.